Talktronics has been developing imaging systems electronics since 1990, beginning with low-noise CCD (charge-coupled device) electronics, and evolving into sophisticated IRFPA (infrared focal plane array) imagers. The original CCD system architecture was derived from a test system developed by JPL for the Hubble space telescope imagers. JPL made their test circuits available to Talktronics through an informal technology transfer, so that Talktronics could further develop the basic architecture into a commercial product. 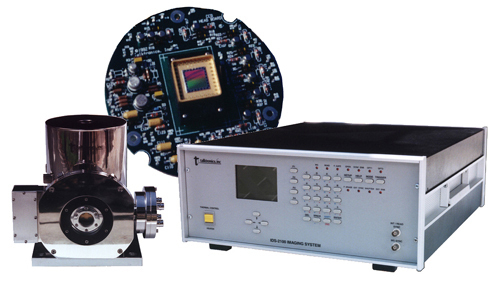 Talktronics presently offers CCD and FPA test systems that are employed by various kinds of end users, including aerospace engineers who desire to develop CCD imagers for space applications, as well as researchers who apply the CCD or IRFPA imagers for basic research in molecular physics, chemistry, and defense applications. Talktronics has extensive experience in rugged electronics design and manufacturing for heavy vehicle and aerospace requirements. For many years, Talktronics was a supplier to Boeing Space & Communications (formerly Hughes Aircraft), providing custom PCB designs, manufacturing PCB assemblies, and providing design and manufacturing of test equipment used in final test of communications satellites in thermal/vacuum chambers. Talktronics has participated as a subcontractor on numerous defense rated contracts. Industrial and commercial product designs from Talktronics have resulted in our clients' manufacturing and shipping tens of thousands of units. Contact Talktronics today for your design needs or for more information by clicking here.